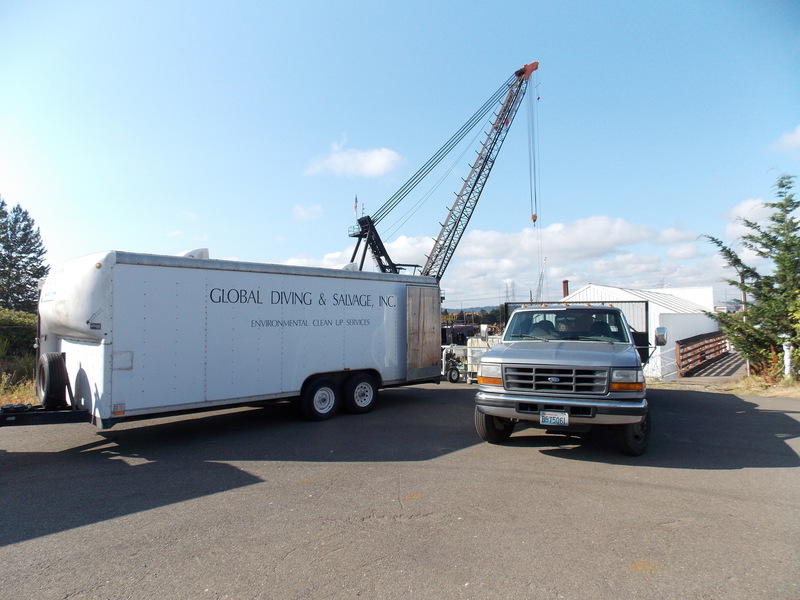 Helena Star Derelict Vessel Removal - Global Diving & Salvage, Inc. 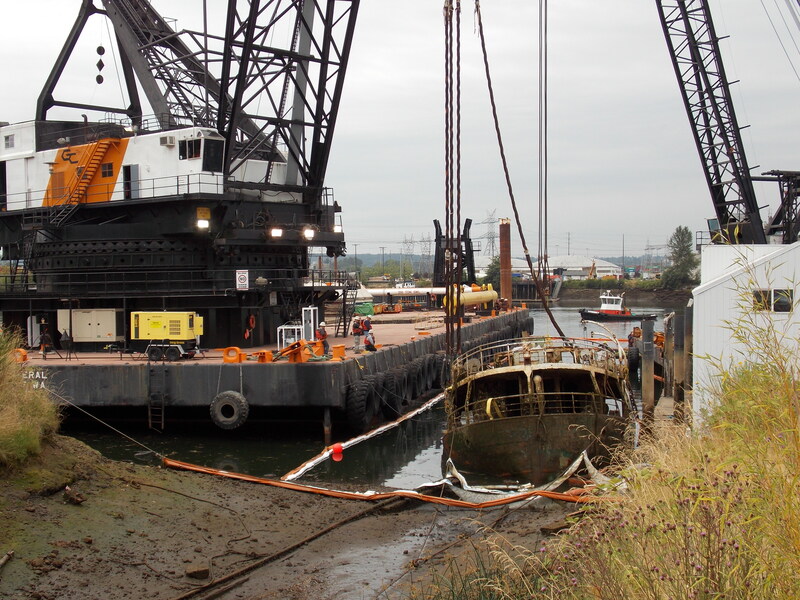 In January 2013, the derelict freighter MV Helena Star was abandoned and sank while moored in the Hylebos Waterway in Tacoma, WA, releasing more than 600 gallons of diesel and oil into the water. Officials determined the vessel needed to be removed, utilizing federal funding and funds from the state’s Derelict Vessel Program. The Helena Star was built in 1947 in Westerbroek, Netherlands of riveted steel construction. US Coast Guard documentation for the vessel listed her last service as a fishing vessel with a length of 156’, a breadth of 27.6’, and a depth of 11.6’. Results of the Global dive survey indicated that Helena Star was sunk at 14 degrees of forward trim with 4 degrees of port heel in 28 fsw. 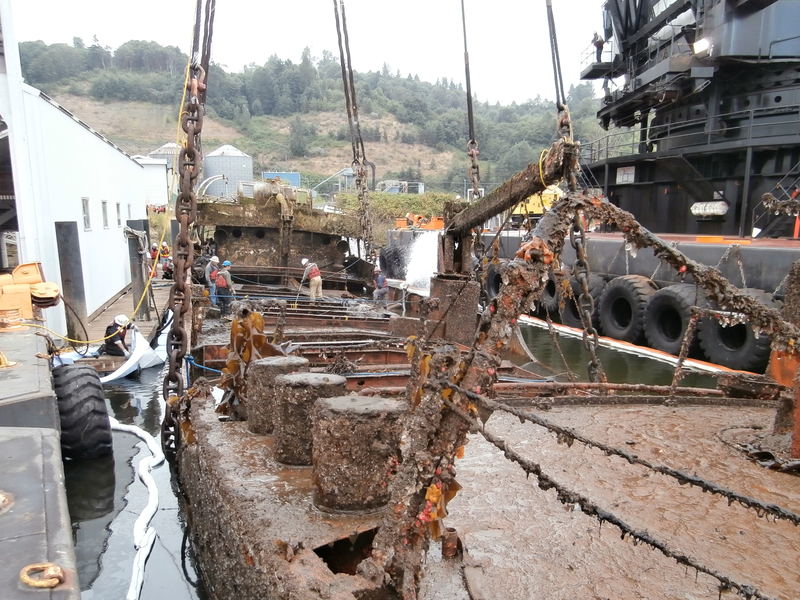 The hull was intact and appeared structurally sound. Although no hull plans existed, Global developed a computerized hydrostatic model to perform multiple weight estimates. 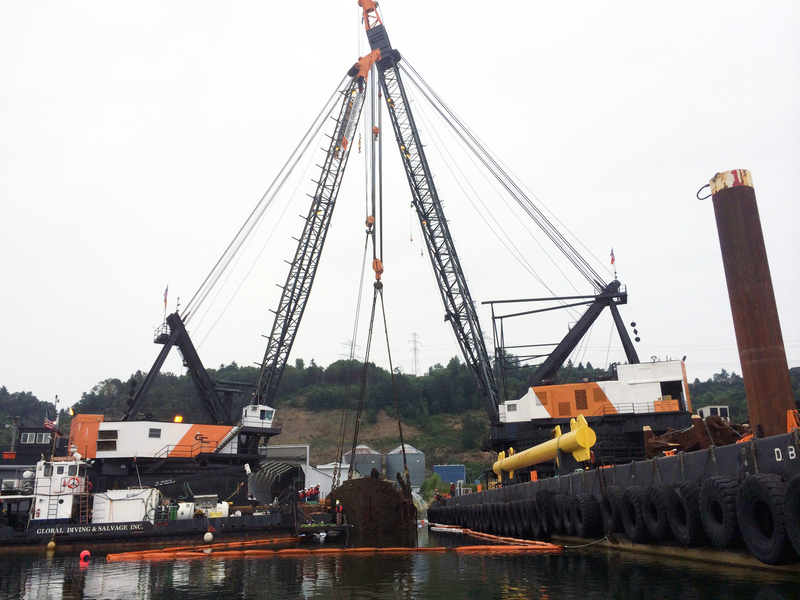 A Global dive team rendered rigging beneath the hull in preparation for a tandem pick using two floating cranes. 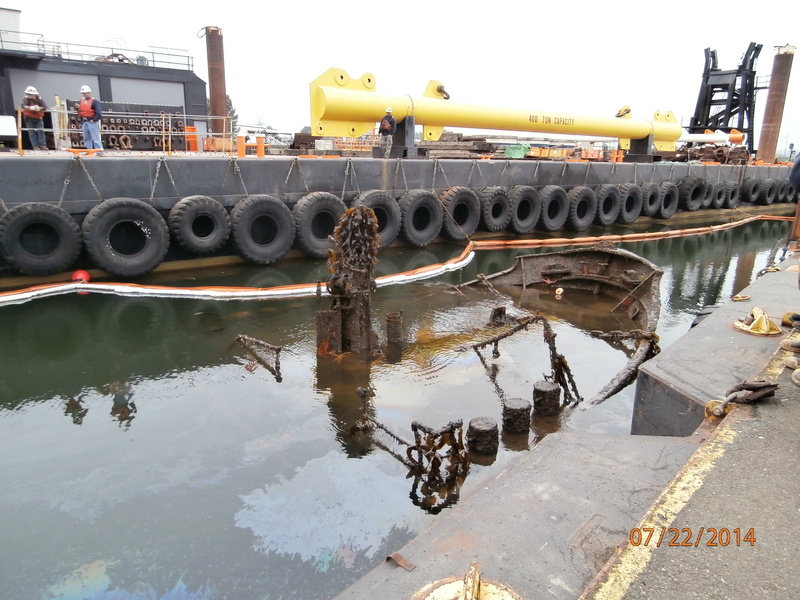 The vessel was successfully raised to the waterline where it was dewatered, patched, inspected and readied for a deadship tow. 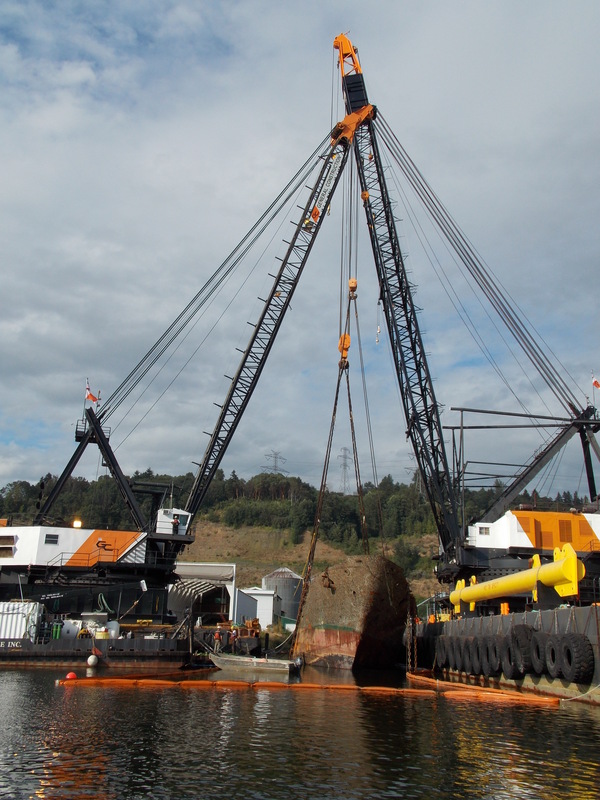 The vessel was successfully towed to a shipyard where it was deconstructed.